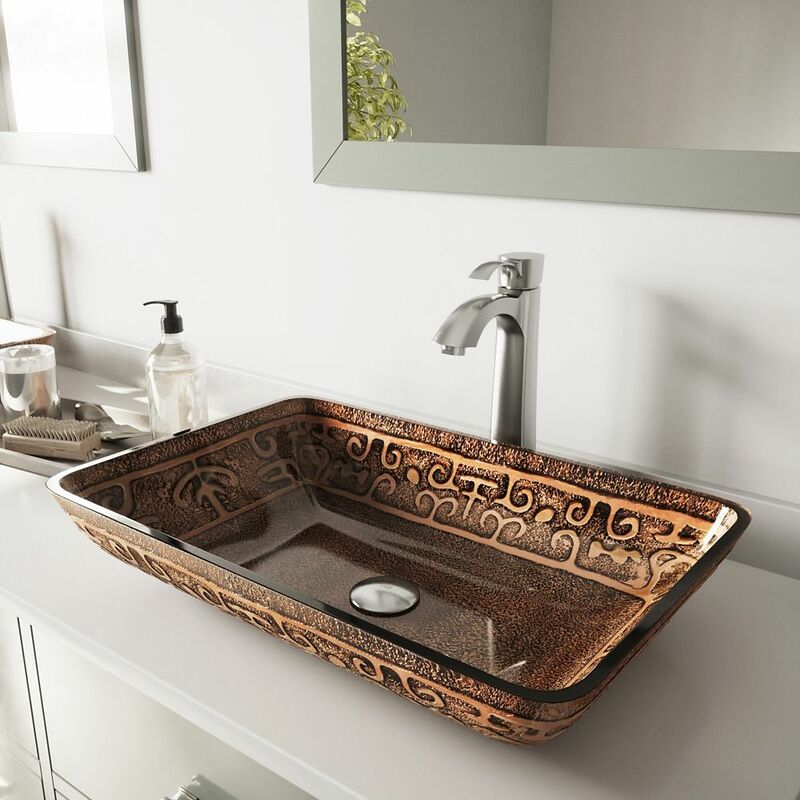 Glass Vessel Sink in Rectangular Golden Greek with Otis Faucet in Brushed Nickel is rated 5.0 out of 5 by 3. Rated 5 out of 5 by KindsGiGi from Great product was all that I expected! I bought two of these months ago when I was having my bathroom re-done! It was the last bit of installment that I needed done. These vessel bowls are absolutely beautiful! I love them! Rated 5 out of 5 by Pattyg from Beautiful Glass! I bought a pair of these sinks for my bathroom and i could not be happier!! the quality of the glass is thick and durable!!! Rated 5 out of 5 by DIYer567 from ABSOLUTELY BEAUTIFUL! My wife purchased the sink simply on the beauty alone. After we got it home and inspected the hand made quality is absolutely superb! It will be a great addition to our bathroom!